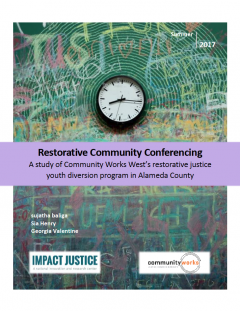 The evaluation of Community Works West’s Restorative Community Conferencing (RCC) Program reports on the program’s benefits and effectiveness based on analysis of available data from January 2012 through December 2014. The RCC program in Alameda County is the first of its kind and scope to address youth crimes in a major US urban area, working solely in a pre-charge context, and with an explicit goal of reducing racial and ethnic disparities. 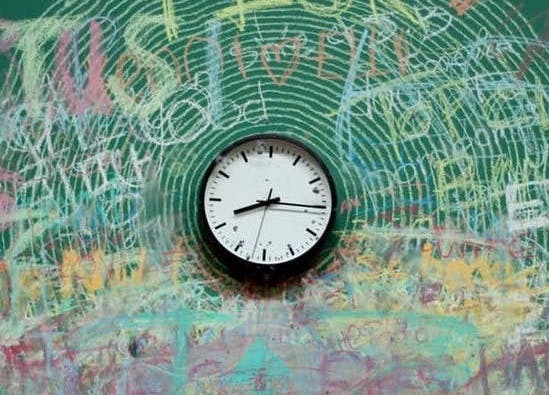 Reduced Criminalization: During the first two years of the program, Community Works West’s RCC program diverted 102 youth for crimes who would have otherwise been addressed through the juvenile justice system. Lower Recidivism Rates: Participating youth were 44 percent less likely to recidivate, compared to similarly situated probation youth. 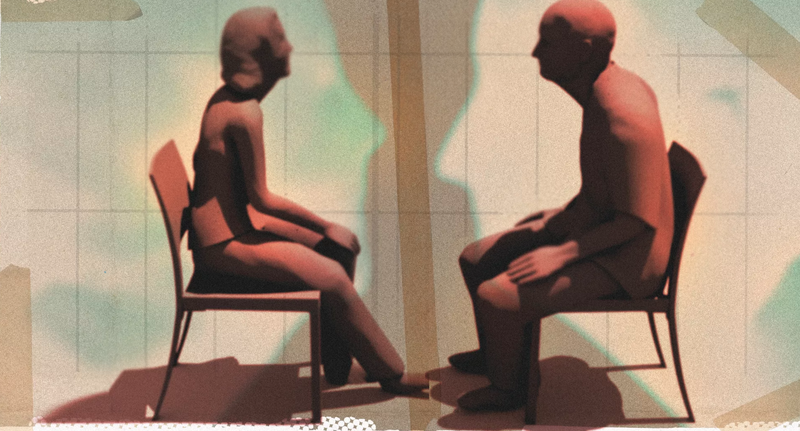 Victim Satisfaction: Ninety-one percent of victim participants reported they would participate in another conference, and an equal number (91 percent) stated they would recommend the process to a friend. Family Connectedness: Seventy-five percent of participating youth indicated the process had either a “good” or “big positive” impact on their relationship with their family; 80 percent of participating parents/guardians reported that their child talked with them more after having completed the RCC process. Cost Savings: RCC carries a one time cost of $4,500 per case, while probation in Alameda County costs $23,000 per year. Reducing Racial & Ethnic Disparities: Of the 102 participants in this study, majority were youth of color; 45 percent were Black and 33 percent were Latinx.